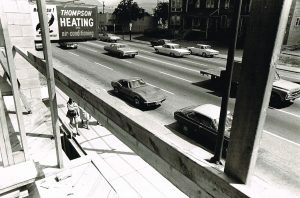 Founded by Frank A Thompson and incorporated on February 3, 1961, Thompson Heating Ltd. has been serving the Lower Mainland of British Columbia for over 55 years. 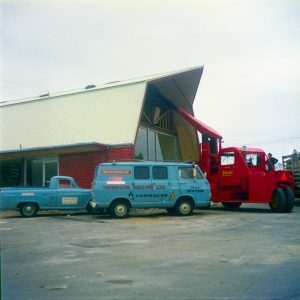 In the 1960's the “Weatherwise" furnace was manufactured by Airco Heating Products exclusively for Thompson Heating. Although the Weatherwise line was dropped in the early 1980's, there are still some of the original furnaces heating homes in the Lower Mainland. 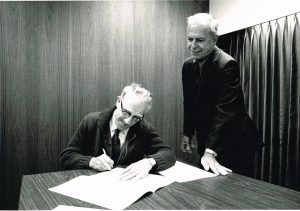 Over the last few decades, the company has undergone changes in leadership and has seen many changes in the heating and cooling industry. Evolving from mid efficient furnaces to the new high efficient furnaces used in homes today. With the advent of the internet and Blue Tooth technology, home heating systems are now manufactured to become “intelligent home management systems” that can be controlled remotely from your smartphones: turn off your lights, regulate heating and cooling, lock your doors, and many other functions. Although Frank has passed on, Thompson Heating still drives to provide homeowners and builders with the best system at a price that fits their budget. Thompson Heating serves all aspects of the housing market. From apartment buildings, townhouses, spec builds, single family homes, to large custom homes. Also, renovations and change outs. 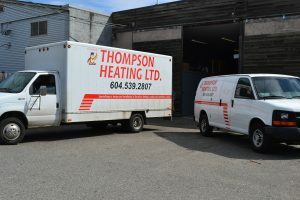 Thompson Heating is a Langley company specialising in heating, air conditioning, ventilation systems and smart home systems. 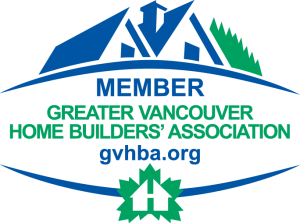 We work with builders and homeowners. ©Copyright 2017 Thompson Heating Ltd. All Rights Reserved.